Are You an Educator Who is Appraising? Great News from SNHU! 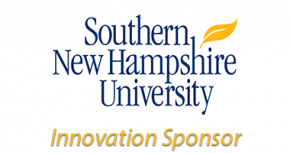 To help build creativity and problem-solving skills in New Hampshire classrooms, Southern New Hampshire University and NH Destination Imagination are partnering to offer Professional Development hours to New Hampshire Educators and SNHU students in the School of Education. If you are coming to Appraiser training, and will be a trained Appraiser for the 2018 competition season, we have great news for you: You can qualify for professional development hours through New Hampshire Destination Imagination and Southern New Hampshire University. for teams of students from all over New Hampshire from grades K-University Level. You can get more information at NH-DI Appraiser Training, or contact Ellie Stetson at ellie.stetson/at/nh-di.org.